Note that your doll probably won’t be able to sit while wearing this skirt. Wrap the straight skirt piece around the dolls hips with the overlap in the back and tape the overlapping edges together to stay in place. 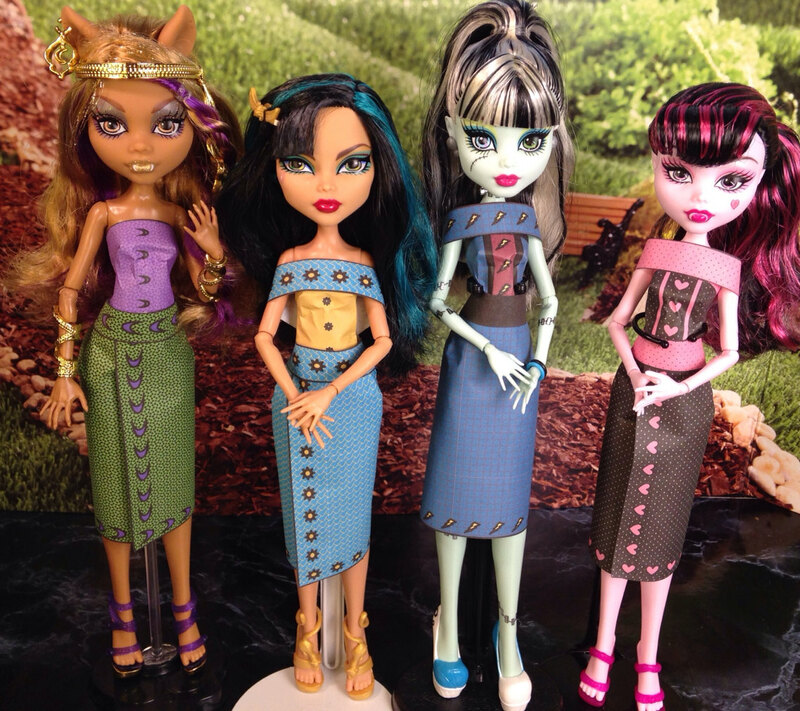 For most fashion dolls the shorter width of the skirt should reach from the waist to about the knee, or slightly longer depending on the doll and the longer side of the skirt should be wrapped around the doll. 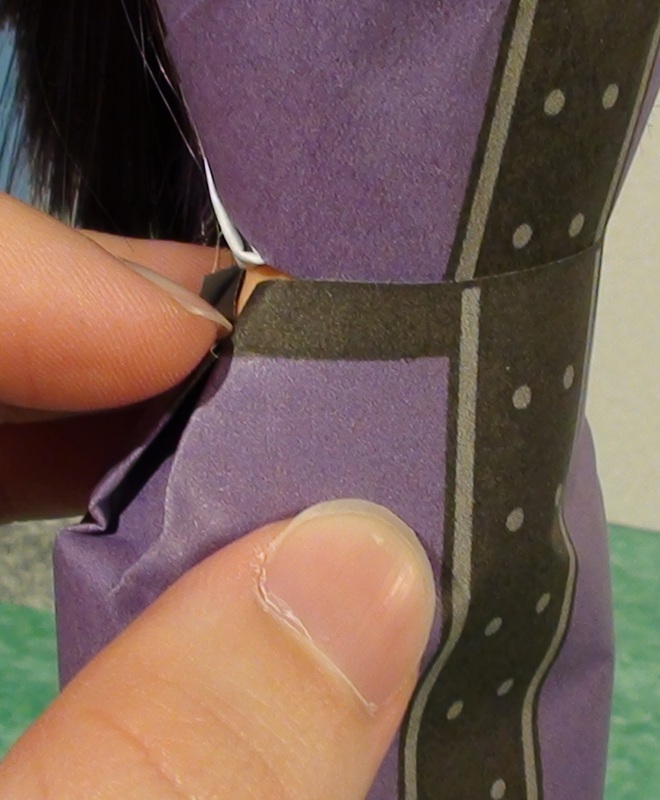 On both sides of the doll, press with your finger the straight skirt to the side of the doll. Fold the edges that you make towards each other and smooth. Add a belt to hold the skirt in place. You can also have the skirt overlap in the front. Use either double sided tape or a loop of tape to secure the skirt where it overlaps then add the belt. For taller, wider collector dolls, like Ellowyne, use two skirt pieces and turn them so that the long side is reaching from the knee to the waist. Then tape the two skirts together on one of the long sides. 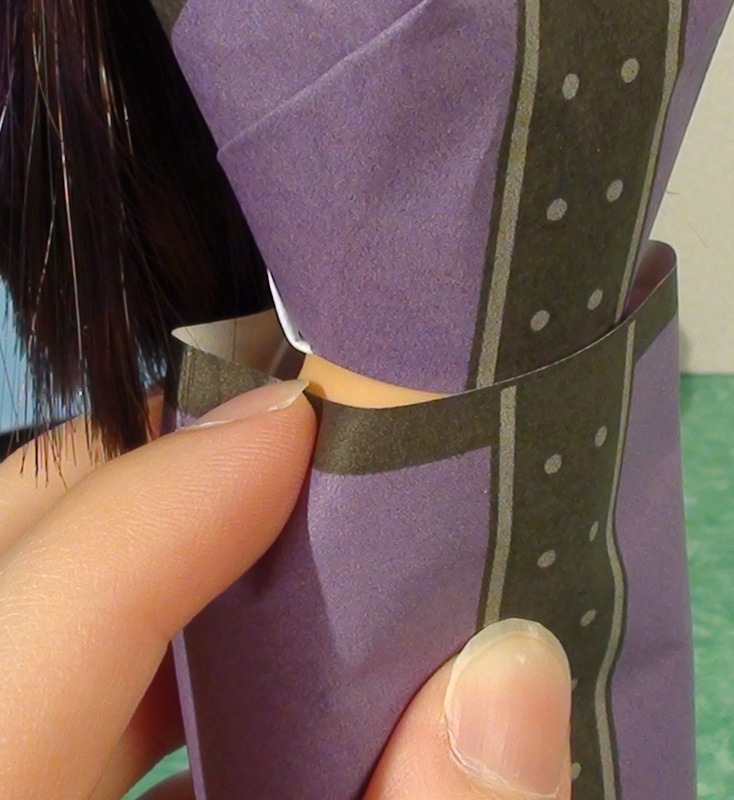 Slide the skirt around the doll and tape the other sides together to form a cylinder. Position the “seams” where you taped to the side of the doll so they look natural. Then finish the skirt the same as you would normally. For a shorter skirt you can also use two straight skirt pieces with the short side for the length of the skirt. The straight skirt over skirt is also made the straight skirt piece.